The story of the shoe industry’s growth in Portugal is an impressive one. “The Sexiest Industry in Europe” is in constant development, as dubbed by APICCAPS (which stands for Association of the Portuguese Industry for Shoes and Accessories). Never forgetting its roots, the work of artisans and the tradition of the ancient profession of shoemaking, the industry leans on technology, facing forward and opening its wings to the world. In fact, numbers don’t lie and to cite APICCAPS website: “The Portuguese footwear industry exports over 95% of its production to 152 countries”. Since 2010, employment in the sector has increased 25% and 280 new companies were created. As of 2017 there were 40.080 people working within the Portuguese footwear sector. Sales and exports have accompanied that growth and increased over 60% since 2010, reaching sales records in 2017 with a 23% growth, which resulted in 1.9 billion euros. In 2018 Portugal exported 85 million shoe pairs, a growth of 2,4% comparing to the previous year, which marked the eighth consecutive year of exports’ growth. In the world’s biggest shoe fair (MICAM in Milan) Portugal was the second country with the biggest representation, when more than 90 companies attended the fair. 2019 aims to be a year of international affirmation for the industry and it’s with that in mind that some of the Portuguese shoe brands presented their collections at Portugal Fashion FW19-20, in a segment dedicated to Portuguese Shoes & Bags. Brands like Gladz, J. Reinaldo, The Baron’s Cage, Lemon Jelly, Fly London, Ambitious, Rufel and No Brand showed their proposals and our models ZUZIA, SASHA, JOAQUIM, FÁBIO TAVARES and RACHIDE played their role. Made for modern women and inspired by the feminist movement, Gladz presented the new collection with ZUZIA and SASHA on the runway. JOAQUIM owned the runway for J. Reinaldo, a brand whose motto is “The perfect symbiosis Man/Shoe”. J. Reinaldo’s shoes are versatile and fit the business man as much as the casual guy. With more than 70 years of experience, The Baron’s Cage had FÁBIO TAVARES and RACHIDE stepping on the runway for the brand. Always colorful, Lemon Jelly chose ZUZIA and SASHA for the show, with a matching red lipstick and shoes, proving that attention to detail is one of their main characteristics. Fly London and their originality had their turn on the runway with JOAQUIM, showing a collection with a unique style and design. 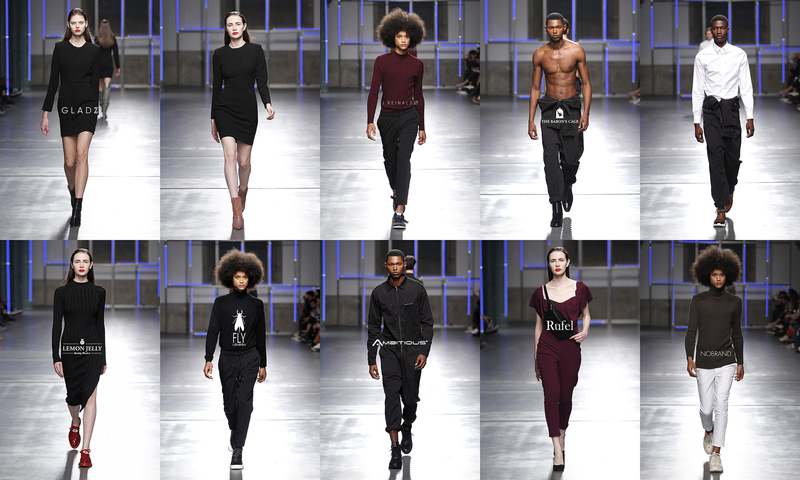 Ambitious, founded in 1994 was once again present at this year’s Portugal Fashion. FÁBIO TAVARES and RACHIDE walked for the men’s footwear brand whose eyes are set on the international market. The multi-gender bags brand was born in 1975 but soon had to adapt to its success, having moved to a bigger location to accommodate the production needs. Their semi-artisanal bags were presented by ZUZIA and SASHA on the runway. 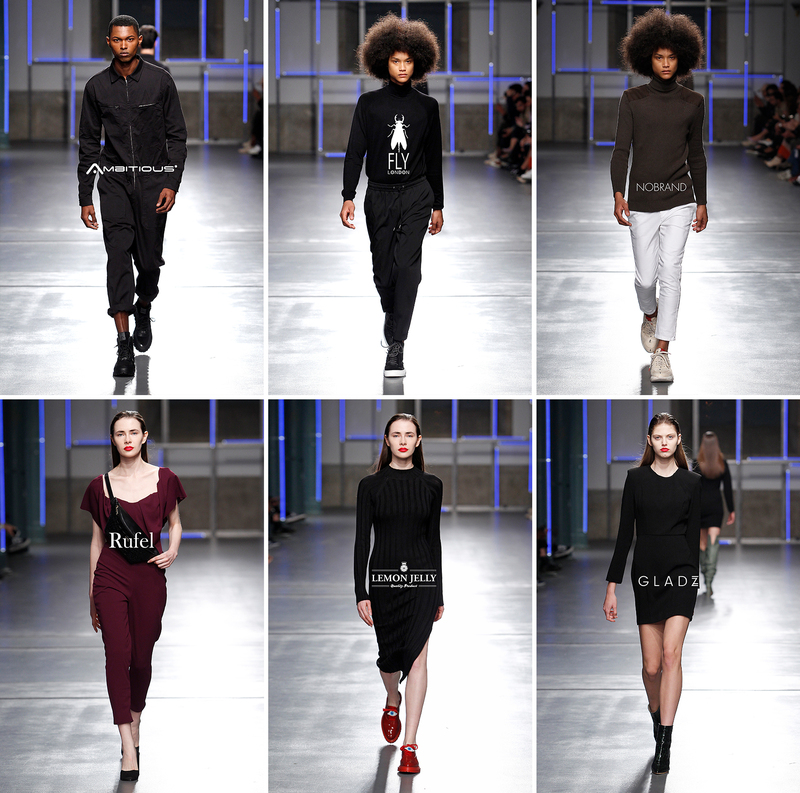 Once again JOAQUIM walked for Nobrand. Under the slogan “Handmade in Portugal with love and care”, the brand keeps balancing the past and the future with their shoes.